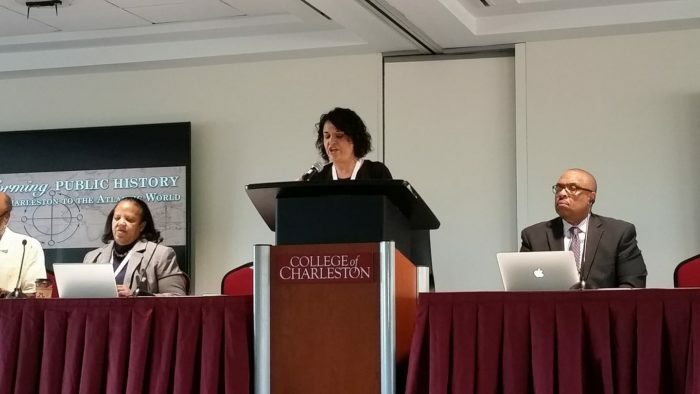 Speaking at the plenary session “Transforming Public History in the Atlantic World” during the conference Transforming Public History: From Charleston to the Atlantic World. Charleston, SC, June, 14-17. Picture by Rebecca Shumway.